Product information "Oxford Button Down Shirt - White / Light Blue - University Stripe - Regular Fit"
Our ready-to-wear shirts are made in the very same way as our bespoke shirts. In fact, they are even made in the same small workshop in the alleys of Naples. A family business with a long tradition and dedication to craftsmanship, this is just the perfect partner for Shibumi. Neatly stitched buttonholes, attachment of collar and sleeves, side gussets, yoke, placket and decorative bartack stitches – everything is done by hand. 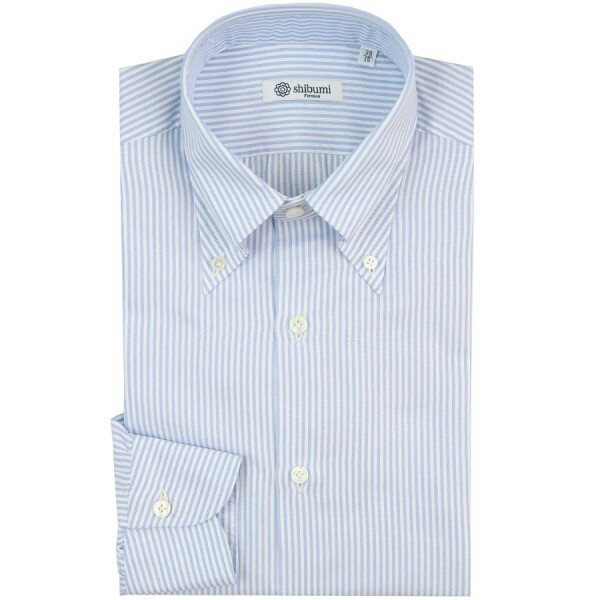 Beautiful shirring on shoulders, cuffs and yoke as typical for Neapolitan shirts. Our distinctive funnel shaped cuffs add a unique touch and follow the natural silhouette of your physique. The fit is contemporary, but classic; neither too slim nor too boxy. Related links to "Oxford Button Down Shirt - White / Light Blue - University Stripe - Regular Fit"